Young singer/multi-instrumentist Derya Yıldırım teams up with fantastic drummer Greta Eacott (G-Bop Orchestra / One-Take records) and 3 quarters of Catapulte Records’ Orchestre du Montplaisant (Antonin Voyant, Graham Mushnik, Andrea Piro). With members originating from Turkey, Germany, France, Italy and Great Britain, Grup Şimşek (pronounce « Shimshek ») encapsulates the Outernational generation. Upon hearing Turkey’s Derya Yildirim, it only takes a few seconds until your soul willingly allows itself to be bowled over. This singer/multi-instrumentalist namely possesses a unique voice that exudes both melancholy and longing. Musically, she is accompanied by Grup Şimşek that excels with its hypnotic Anatolian psych-pop. Turkish folk, grooves and psychedelica. Aside from own compositions, Derya Yildirim also interprets gems by Turkish artists like (protest)singer Selda Bağcan, rock pioneer Barış Manço, Moğollar and the Turkish poet Nazım Hikmet. After their amazing performance at the 10 Years of Rebel Up party in Recyclart last march and more recently at the Feeerieen festival by Ancienne Belgique in August, be sure to get in on time for a good spot to shake & cry with us. Listen to her 4 song EP ‘Nem Kaldi’ , co-released by Les Disques Bongo Joe & Catapulte Records in early 2017, to capture her deeply melancholic voice and the eloquently groovy sounds by Grup Şimşek. 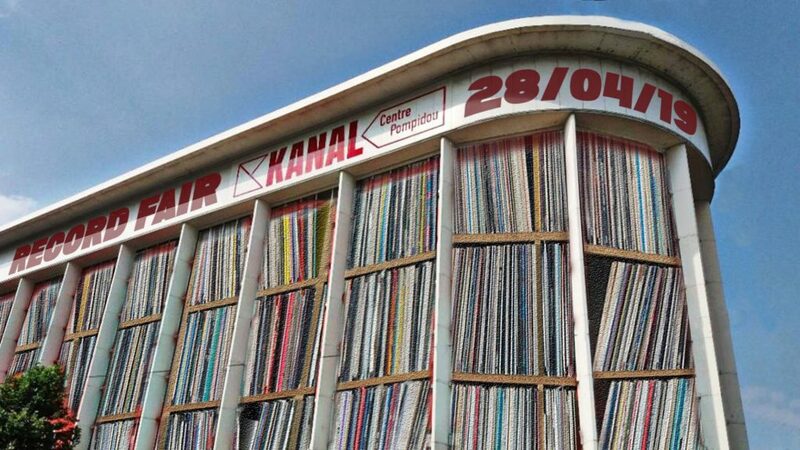 Eastern vinyls & sounds in Turkish, Greek, Gypsy, Tsifteteli, Sefardic, Yugo etc folk, pop & rock sounds and much more global tunes from beyond the everlasting horizon. Sebcat is very proud to present his self recorded & selected Rajasthan Street Music double LP, out since March on US label Sublime Frequencies. It has finally come out after some slow years selecting & readying the song, ever since Sebcat and VJ M undertook that trip to Rajasthan over 6 years ago. It has resulted in a truly special document of contemporary Rajasthani folk music in diverse styles with nice cover art work. Read here what some websites say about it. Thu 10 jan; Dakhabrakha at Paradiso, A’dam; 3 x 2 tickets giveaway competition! Thursday 10 january, crazy Ukranain electro-folk outfit DakhaBrakha are touring around the EU and coming to A’dam to play in the Paradiso in collaboration with Gonzo (circus) music magazine. DhakhaBrakha’s sound is quite perculiar; they mix local Ukranian folk spheres and orally transmitted cultural songs together with African percussion, as well as Arabic, Bulgarian & Hungarian influences. They describe their music as psycho-folk-hiphop-trance-acoustic-triphop-ethno-chaos. Right so, we can dig that! Afterwards the eclectic Gonzo (circus) dj’s will spin records for a dance or two. We’ll notify the winners by wednesday evening. Also keep in touch with us through our Rebel Up! facebook page. 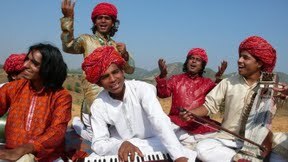 tonight the Rajasthani Kawa Brothers will be playing at Compilotheque! The Kawa family hail from Jaipur -the pink royal city- where they have been raised with the legacy of traditional Rajasthani folk music and Indian classical compositions on the sarangi, santoor and tabla. Should be a special concert in true desertlike spheres of Rajasthan. See a video here. doors open at 20:00h, just 5€ in, very cheap bhai ya didi!